Backtalk, Name-calling and Disrespect: Can This Family Learn to Get Along? 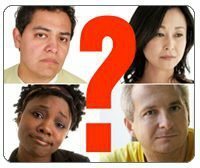 Real Questions from Real Parents Backtalk, Name-calling and Disrespect: Can This Family Learn to Get Along? Editor’s note: At the beginning of the year, we asked you, our readers, to send us real questions specific to your family’s situation. Our first article in our new series, Real Questions from Real Parents, deals with something most parents can relate to: backtalk, name-calling and disrespect. All questions are answered by a member of our parent coaching team; each one a professional who specializes in coaching parents on techniques from The Total Transformation Program. I have two children, a daughter who is 11 and a son who is 9. My husband is the breadwinner and I am a stay at home mom. Here is my problem: Neither of my children listens to any of my requests to clean their rooms, do chores, or study. When I ask them to do these things, they argue and talk back. My daughter tells me that I don’t know anything; all her sentences start with “You are stupid.” My son is also very stubborn and refuses to do his work. I get tired of yelling at them and finally end up cleaning their rooms myself. My husband also has a very short temper. He tells our kids that they don’t study enough and that they’re stupid. My daughter calls him names in retaliation, and then they yell at each other. I get stuck in between all three of them, and then my husband says our kids are spoiled because of me. I want them to learn to respect us and be responsible. What can I do? In reading your question, I’ve identified a few areas where you are having difficulties right now. I’ve broken up your family’s situation into a few categories: name-calling, backtalk, disrespect and irresponsibility. The first thing we need to address here is the name-calling you describe. You mentioned that you want your daughter to stop calling you stupid—but you also said your husband is telling your kids that they’re stupid, as well. I understand that everybody gets frustrated and angry at times, but you and your husband have to find a way to control that—even if one or both of you has a very short temper. Make no bones about it, parents have to role model the behavior they want from their kids. There’s just no way around it. I also want to note that when your daughter calls your husband stupid, she is employing a defense mechanism. Think of it this way: she could shrivel up inside and start believing that she really is stupid, or she could build a wall and bounce it right back. In some ways, your daughter’s choice is healthier than if she simply believed the criticism, even if her response is inappropriate. What you need to do is get together as a family and address your name-calling problem. Decide not to engage in name-calling: The very first step here is to ask your husband for his support around this issue. Going forward, you first have to decide as a couple that there will be no more name calling. If it’s not appropriate for your kids, then your husband shouldn’t do it either. Talk ahead of time to make sure you’re on the same page, and present a united front to your kids. When you do speak to them, call a family meeting. If you try talking to your son and daughter alone, they’re going to say, “Well, Dad does it. 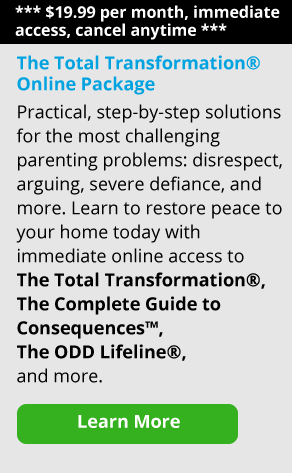 Why can’t we?” So you and your husband have to say together, “No more name calling.” Tell your kids, “There is now a zero tolerance for calling people ‘stupid’ in this house.” You might also say, “We realize we’ve done this ourselves, but it’s not good and it’s got to stop. From now on, when we’re upset we’re going to take a break instead of coming out with something that’s not okay to say. And we’re going to ask you kids to do the same.” Continue to discuss with your spouse how you can support each other around what you’d like to see from your kids. Use a “Fine Jar”: I’ve also found that putting a fine jar on the kitchen table can be very effective. Every time someone calls another person in the family a name, they have to put a certain amount of money—let’s say 25 cents—into the jar. Because everybody is involved in this activity, there’s an acknowledgement that everybody is trying to change together: Dad does it, but Dad’s changing. This works really well for both name-calling and swearing, because everybody takes ownership. When dealing with back talk, I recommend that you first ask yourself what’s triggering the behavior. In other words, your daughter is not alone in her room talking back to herself. Somehow you’re engaging with her—and that interaction is very likely the cause of the problem. So first, think about what is starting the backtalk. You need to say, “Hey, it’s not okay to speak to me that way; I don’t like it. And that’s not going to get your chores done.” Then leave the room. Don’t argue because you’ll get drawn into a power struggle. Think of it this way: your daughter can only argue with you if you engage in an argument with her. She can’t play tug-of-war with you if you’re not on the other end of the rope, pulling back. I know that it’s tempting to step in and do your kids’ chores for them to keep the peace and put the house in order. But here’s the bottom line: when you clean your kids’ rooms yourself—and do their work rather than argue with them—you are teaching the wrong lesson. So part of what you need to do is stop jumping in and “rescuing” your kids. Instead, really define a task or a chore—and if they don’t complete it, they should lose a privilege that day as a consequence. Whatever you do, don’t do your kids’ work for them. If you want them to learn respect and be responsible, you can’t teach them that you’ll step in and fix things if they wait long enough. When you rescue your kids in this way, they don’t have to be responsible because you are doing the work for them. They’ll learn that if they just hold out, you’ll give up and give in. Remember, if you want your kids to respect you and be responsible, you need to hold them accountable for their behavior. If you don’t, you’re taking away their opportunity to become responsible adults some day. Always think about what you want your child to learn, and you can’t go wrong.